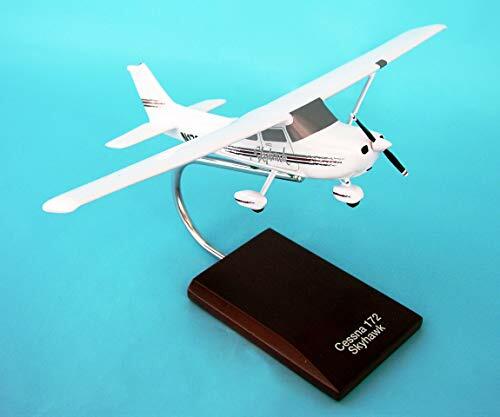 Product Description Touted as the world’s most popular civilian airplane, the Cessna 172 Skyhawk was the world’s most successful mass-produced light aircraft. First flown in 1955, the Cessna 172 had more than 43,000 units built as of 2008. 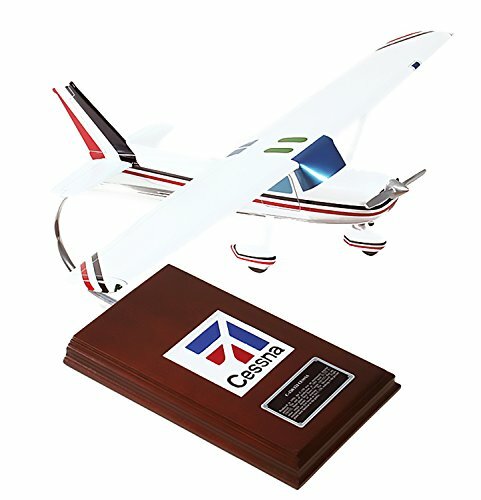 Made by Cessna Aircraft Company, this four-seat, single-engine, high-wing aircraft has a great safety record; in fact, it was the safest general aviation aircraft available up to these days. No wonder, the 172 Cessna also became the best-selling and most-flown airframe ever built. From the Manufacturer The four-seat single-engine high-wing Cessna 172 Skyhawk is the most successful mass produced light aircraft in history. It is also possibly the most popular flight trainer in the world. Over 40,000 172s have been built, more than any other Western aircraft. First delivered in 1956, it is still in production as of 2007. The Skyhawk's main competitors include the Beechcraft Musketeer, the Grumman AA-5 series, the Piper Cherokee, and the Diamond DA40. The prototype first flew in November 1955. The 172 was an overnight sales success, with over 1,400 built during its first full year of production in 1965. The 172 began as a relatively simple tricycle landing gear upgrade from the taildragger Cessna 170, with a fairly basic level of standard equipment. Early models looked almost identical to the 170, with the same straight aft fuselage and tall gear legs, although the 172 sported a straight vertical tail while the 170 had a rounded fin and rudder. Later versions incorporated revised landing gear and a lowered rear deck that allowed an aft window, marketed as “Omni-Vision”. The final aesthetic development in the mid-1960s was the sweptback tail which is still in use today. A variant of the 172, the T-41 is used as a trainer with the United States Air Force and Army. Because of its high-wing design, stability at low airspeeds, and relatively low stall speed, the aircraft is an excellent platform for search and rescue operations and is the primary platform for the Civil Air Patrol's operations. The US Border Patrol also uses a fleet of 172s for aerial surveillance along the Mexican-American border.